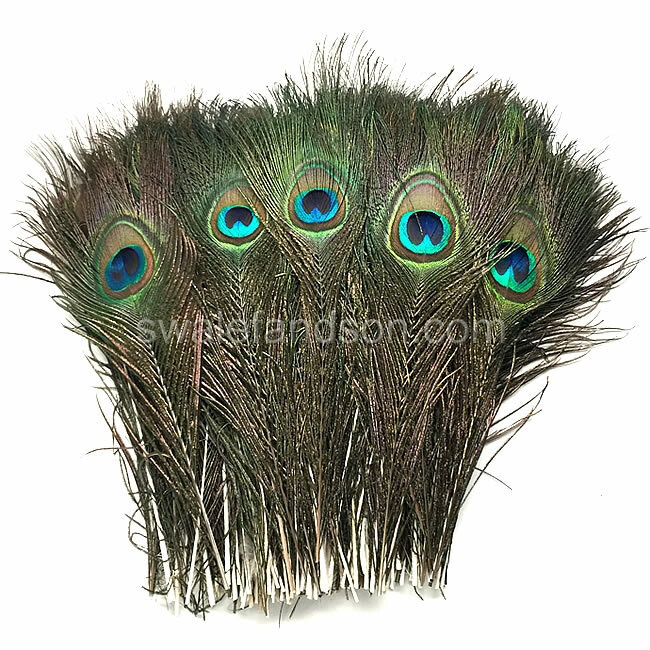 Wholesale Peacock Feathers | Cut Peacock Eyes 10-12"
Beautiful, shiny, iridescent Peacock Feathers. Our 10-12" Peacock Eyes have been cut down from longer tail feathers. As a natural product the size of the eyes will vary, but average around 3-4" in total width. We steam all our Peacock Feathers to be sure they're ready right out of the box. Sold in bundles of 100 feathers.